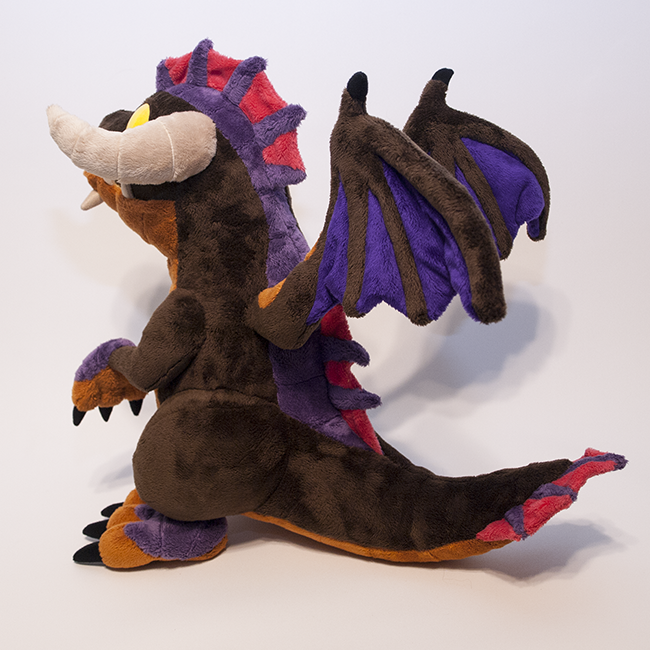 Size: ~14" tall, wingspan ~20"
A highly detailed, cosplay appropriate plushie of an adorable Onyxian Whelpling from World of Warcraft. 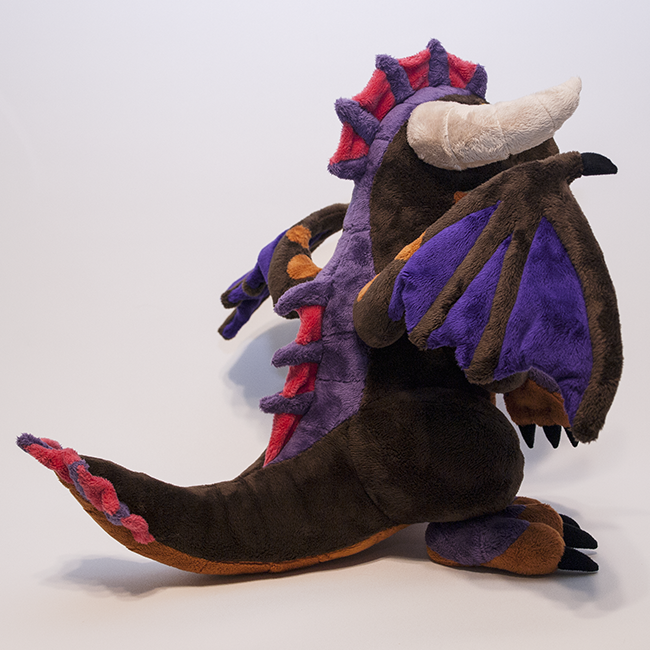 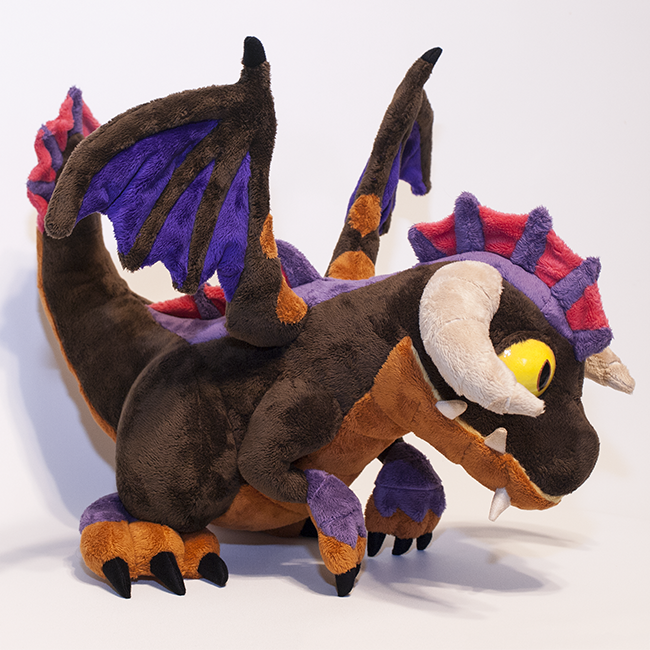 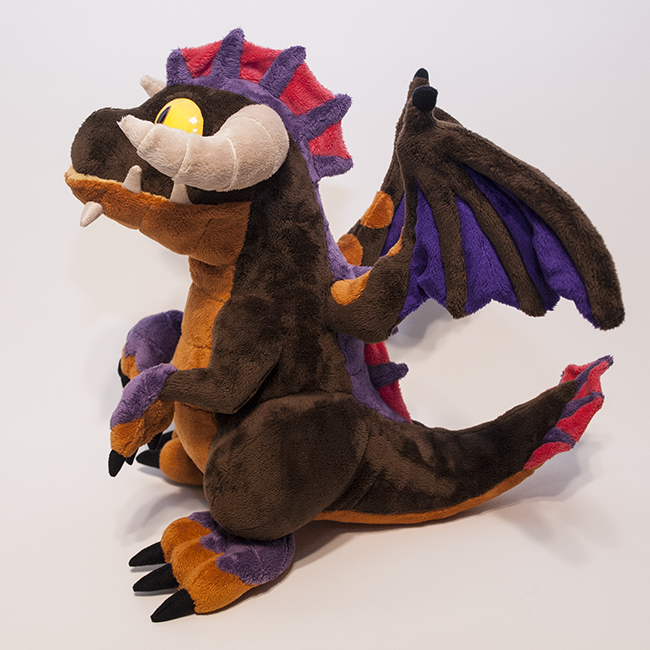 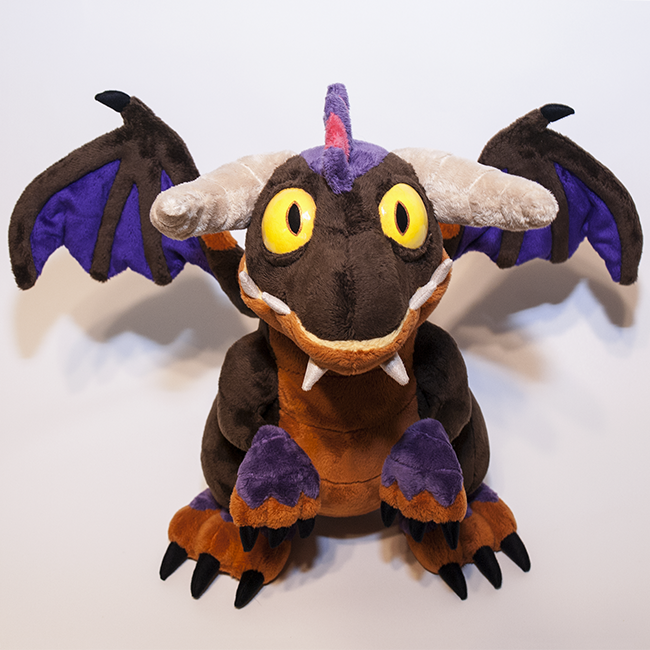 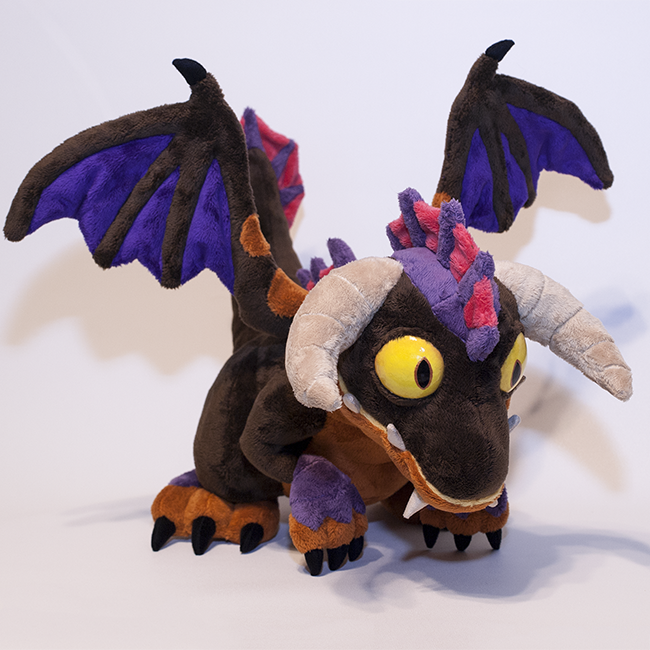 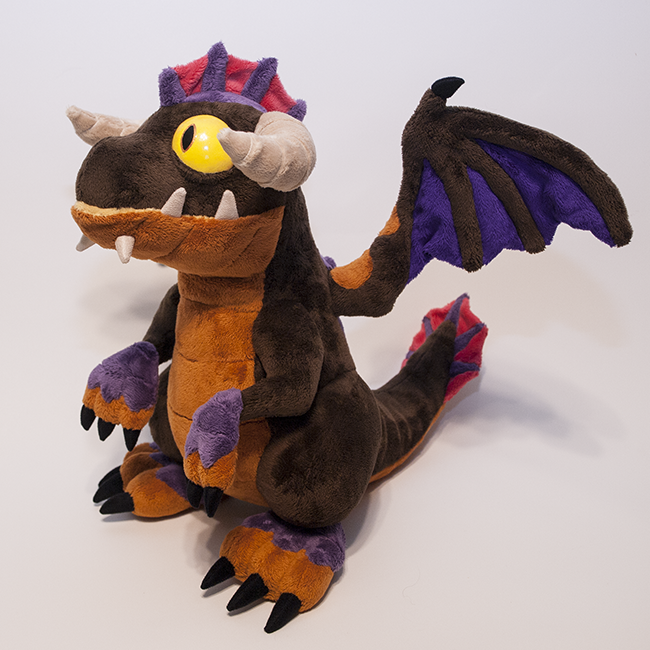 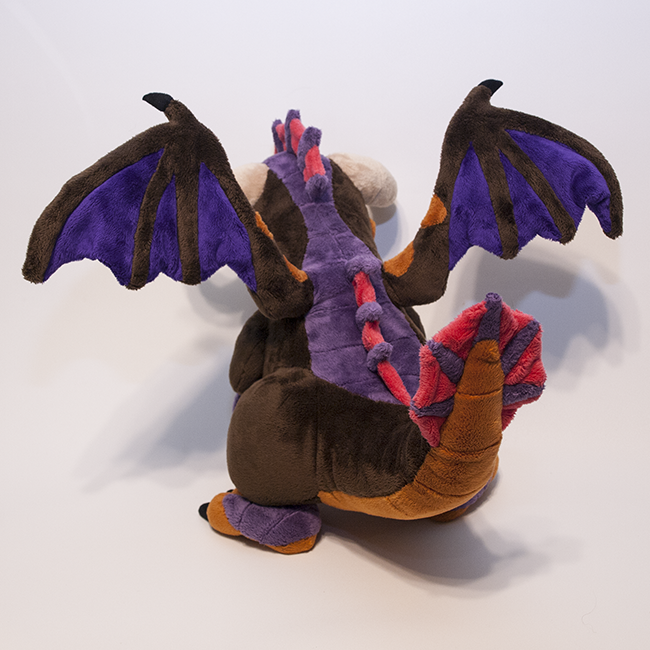 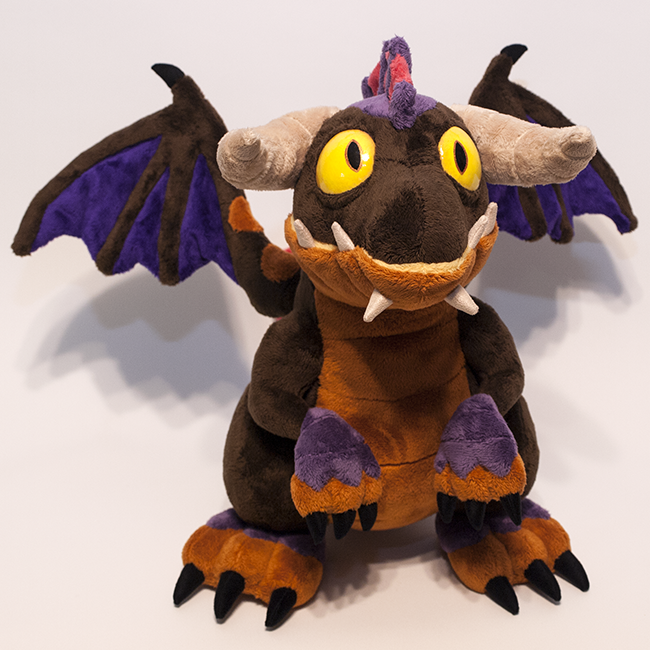 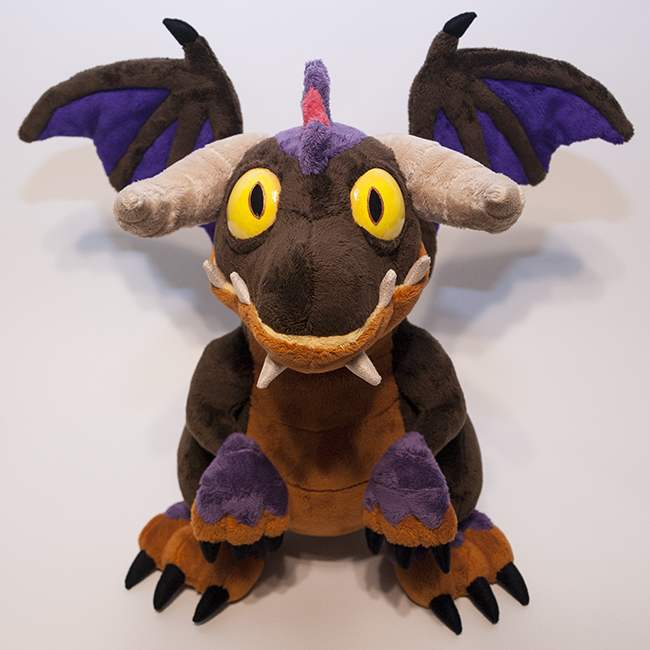 This plushie was designed to be a hybrid design of the small battle pet (rewarded from WoW's 5th anniversary celebration), and the bulkier and more detailed Onyxian Drake (mount). 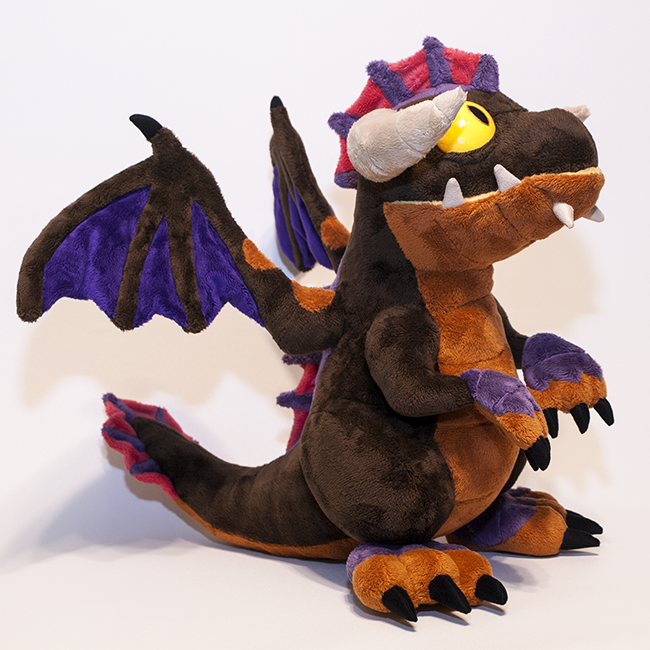 Made with minky for a soft and cuddly touch, with accents of faux suede for her claws and teeth. 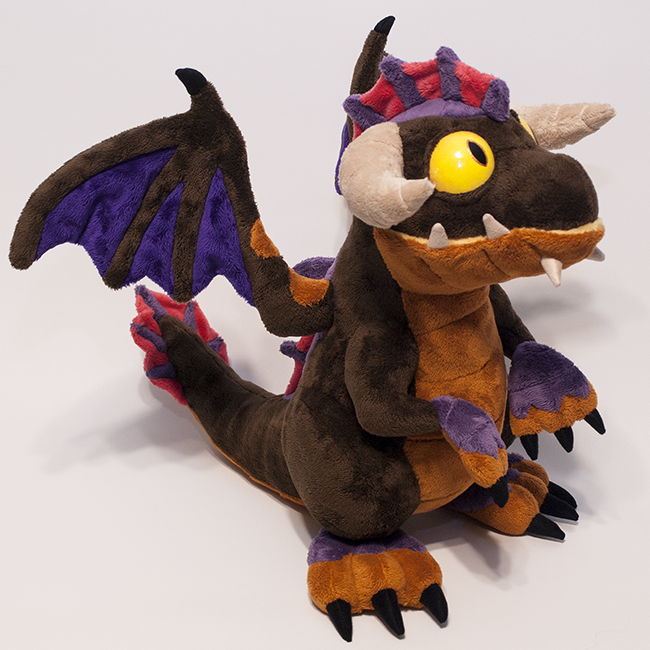 Her eyes are hand sculpted from plastic, and hand painted, with a clear and glossy top coat for protection and realism. 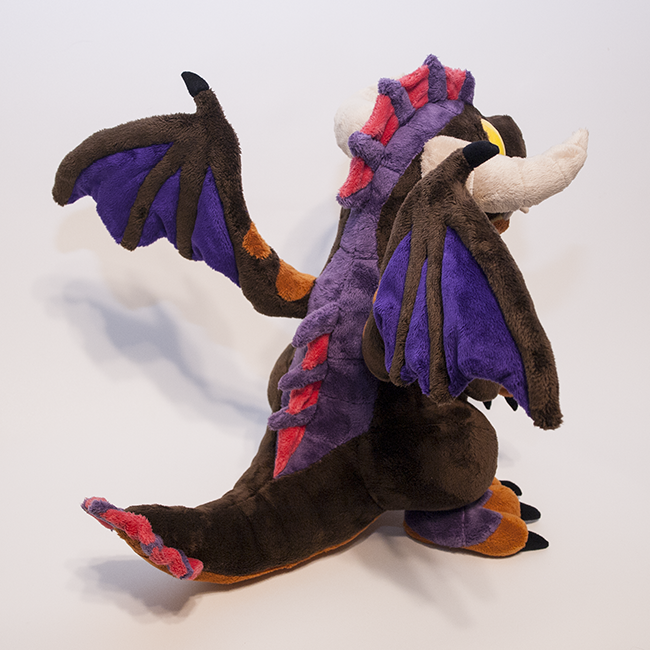 Her wings have a wire armature, wrapped tightly in yarn and an internal sleeve of fleece for extra protection and stability. 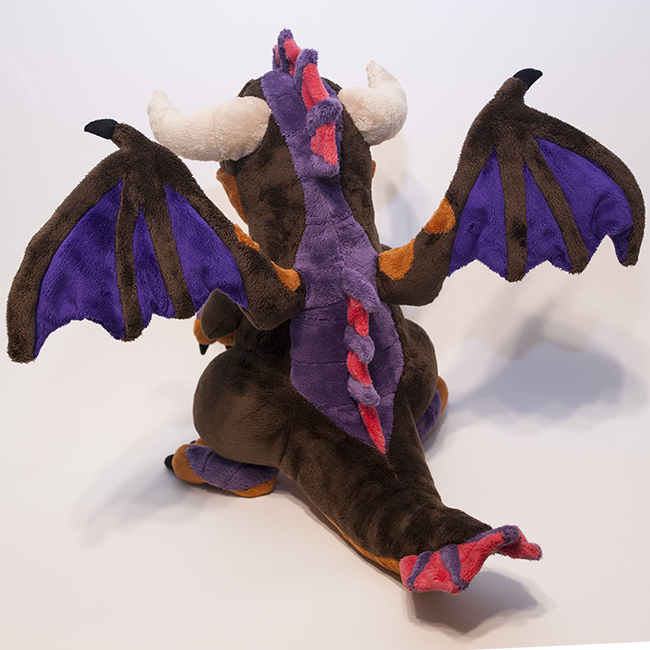 This plushie's pattern is made from about 200 fabric pieces that have to be individually cut and sewn together, so she is very time consuming and complicated to make!